Ambassador Daniel Shapiro and Ms. Julie Fisher, and Counselor for Press and Cultural Affairs Hilary Olsin-Windecker visited the stunning BahaÂ’i World Center in Haifa with their host Secretary-General of the BahaÂ’i International Community Mr. Albert Lincoln, Mr. Kern Wisman, the BahaÂ’i Jerusalem Representative and Mrs. Barbara Wisman. While showing his guests the beautiful terraced gardens, the Seat of the Universal House of Justice, VisitorÂ’s Center, and the holy Shrine of the Bab, Mr. Lincoln explained the history and beliefs of the BahaÂ’i religion, which now has over 5,000,000 followers around the world. The accompanying photos show clearly why HaifaÂ’s BahaÂ’i World Center, including the terraces and the Shrine of the Bab, which constitute the north slope of Mount Carmel, were inscribed on the World Heritage List in July 2008. Ambassador Shapiro first met Mr. Lincoln at a meeting of religious leaders hosted by HaifaÂ’s Mayor Yona Yahav at Beit Hagefen in January 2012. On 2 November international civil society alliance Civicus hosted an event that showcased the persecution faced by the Bahaâ€™i people by the Islamic theocracy in Iran. The event hosted IranWire citizen journalist Saleem Vaillancourt, Wits University law professor Salim Nakhjavani and director of the office of public affairs of the Bahaâ€™i community in South Africa, Peter Mputle. It featured a showing of the IranWire documentary The Cost Of Discrimination which parallels the persecution of the Baha’is in Iran with apartheid in South Africa. The panellists then discussed South Africaâ€™s role in defending the Bahaâ€™is and in promoting human rights. The Daily Vox explains. The Bahaâ€™i follow the teachings of religious messenger BahÃ¡â€™uâ€™llÃ¡h whose teachings include principles of essential oneness of humankind, the elimination of prejudice, the unity of all religions, the equality of women and men, the centrality of justice, the importance of education, and the true life as the life of the soul. The Bahaâ€™i faith also does not bestow power upon a single priest or a clergy but rather supports an independent search for truth Mputle explains. â€œIn the Bahaâ€™i faith, instead of clergy we have structures like a national spiritual assembly of nine members who are voted in every year and administers the affairs of the Baha’is in the country. There is a local spiritual assembly that works in the same way,â€ he said. 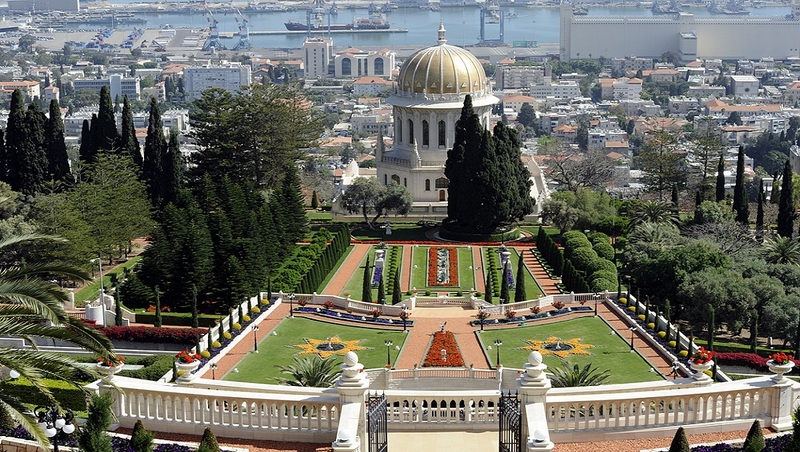 Although the Bahaâ€™i faith originated in Iran, there are Bahaâ€™is all over the world. There are also many African Bahaâ€™is. Kampala, in Uganda, has a Bahaâ€™i House of Worship. In South Africa, there are around 5000 Bahaâ€™is and the community is growing, Mputle said. The Iranian government others itâ€™s Bahaâ€™i community. The Bahaâ€™i are not recognised by the Iranian constitution even though it is Iranâ€™s largest minority religion. Other minority religions like the Jewish, Christian and Zoroastrian faiths are contained within the constitution. And this is just the beginning of the ways the Bahaâ€™i are discriminated against. More than 200 Bahaâ€™is were killed after Iranâ€™s 1979 Revolution. Hundreds of others have been unjustly jailed and tortured. Today over a hundred Bahaâ€™is languish in Iranian jails where theyâ€™re deprived of their most basic rights as Iranian citizens. The Bahaâ€™is are barred from teaching or studying at Iranian universities and even many employment opportunities are not available to them. Baha’i cemeteries have been destroyed and Iranâ€™s Supreme Leader Ayatollah Khamenei has seized properties from Baha’i families. The Cost of Discrimination suggests that there are similarities between Iranâ€™s persecution of the Bahaâ€™is and apartheid. The scale differs because the Iranian Bahaâ€™is are a minority not a majority. However, the way the ruling class maintains control at all costs, the way it denies the Bahaâ€™is access to education and other rights, and enforces its will through detentions and violence, giving religious reasons for its actions, is similar to apartheid in South Africa. The Iranian government uses similar structures to apartheid, Vaillancourt said. For example, religious discrimination, legal and constitutional exclusion as well as intimidation, arrests, violence, coercion, defamation, and the persecution against Baha’is. It also blocks the purpose and development of the Bahaâ€™is. Nakhjavani, a member of the South African Bahaâ€™i community and helped make The Cost Of Discrimination, said there is a dichotomy between the Iranian constitution and the lived experience of the Iranians. â€œThe Iranian constitution begins with a statement of high-minded ideals founded on principles of the nobility of the soul. It promises all sorts of fundamental rights and the idea that all people are created equal. But what does that mean for an Iranian woman? What does that look like for a Bahaâ€™i?â€ he said. Generally Bahaâ€™i teachings donâ€™t work for a fundamentalist Islamic theocracy, Vaillancourt said. â€œThe Iranian regime is a self-professed theocracy which entrenches power in the hands of clergy,â€ Vaillancourt said. But besides the Bahaâ€™i belief in an independent search for truth, there is itâ€™s belief in the equality of men and women and itâ€™s emphasis on knowledge all threatens the state. â€œThese are things that challenge any government that has a stake in limiting access to its people,â€ Vaillancourt said. The government also makes life difficult for any minority like Sunnis Muslims (Iran is a Shia theocracy), members of other minority religions, activists and human rights workers, he said. â€œThe Bahaâ€™is approach is characterised by scholars not as resistance but constructive resilience,â€ Nakhjavani said. This means the community puts in place approaches which build the resilience of the community by contributing to the betterment of the society – no matter how oppressive the society may be to them at the time. It is this expression that started the Bahaâ€™i universities in Iran. As a journalist, Vaillancourt said he sees the Iranian society transforming. â€œMore and more think the rights of all must be respected,â€ he said. Vaillancourt said a number of people have spoken up in support of the Bahaâ€™s from human rights lawyers, to journalists, clerks and even ayatollahs. Vaillancourt said IranWire made the documentary The Cost of Discrimination because South Africa of all countries, has â€œan acute understanding of what it means to be denied, discriminated against and have their progress blocked.â€ â€œSouth Africa has a special role to play in warning the world of the cost of discriminating against a whole part of itâ€™s society; not just the economic costs but the social costs and spiritual costs,â€ he added. South Africans understand the way the principle of ubuntu applies very well, Nakhjavani said. â€œWhen it comes to dealing with this system of oppression South Africans are wealthy. Theyâ€™re wealthy in experience and knowledge and learning,â€ he said. He said South Africans have a duty to share this knowledge. What can South Africans do to further the cause of the Bahaâ€™is in Iran? The South African government has a good relationship with the Iranian government. â€œThey are in a position to encourage Iran to abide by itâ€™s human rights obligations in a way that western governments are not,â€ Vaillancourt said. The Bahaâ€™is do not believe in going against the government, Mputle said. â€œWe believe in consultation. We need to engage with the South African government to respond to the atrocities of the Bahaâ€™is in Iran without breaking relationships with the Iranian government,â€ he said. Mputle said as South Africans, we need to raise our voices against the persecution of the Bahaâ€™is in Iran. He said we need to write about it, speak about it and ask relevant institutions like the civil society to continue engaging government. IranWire made three documentaries highlighting the persecution of Bahaâ€™is by the Iranian government. You can watch To Light a Candle,Â Changing the World, One Wall at a Time, and The Cost of Discrimination here.